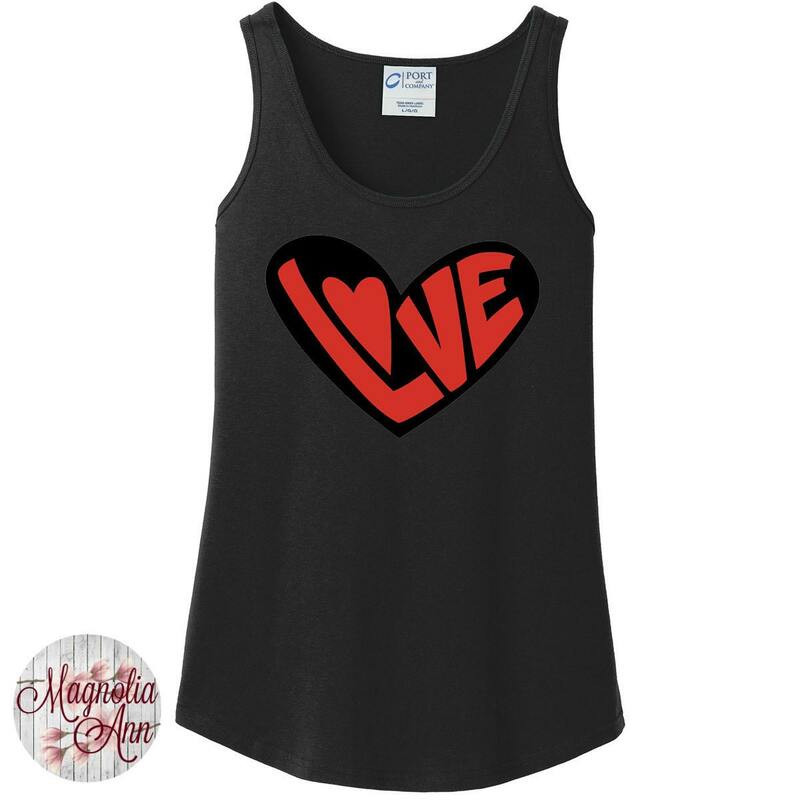 This Love Heart design is heat transfer vinyl that is heat pressed on top of a Port & Company 5.4-ounce, 100% cotton, scoop neck tank top. Gray & Pink tank are 90% Cotton/10% Polyester. 6 colors are available. See photo for color choices. 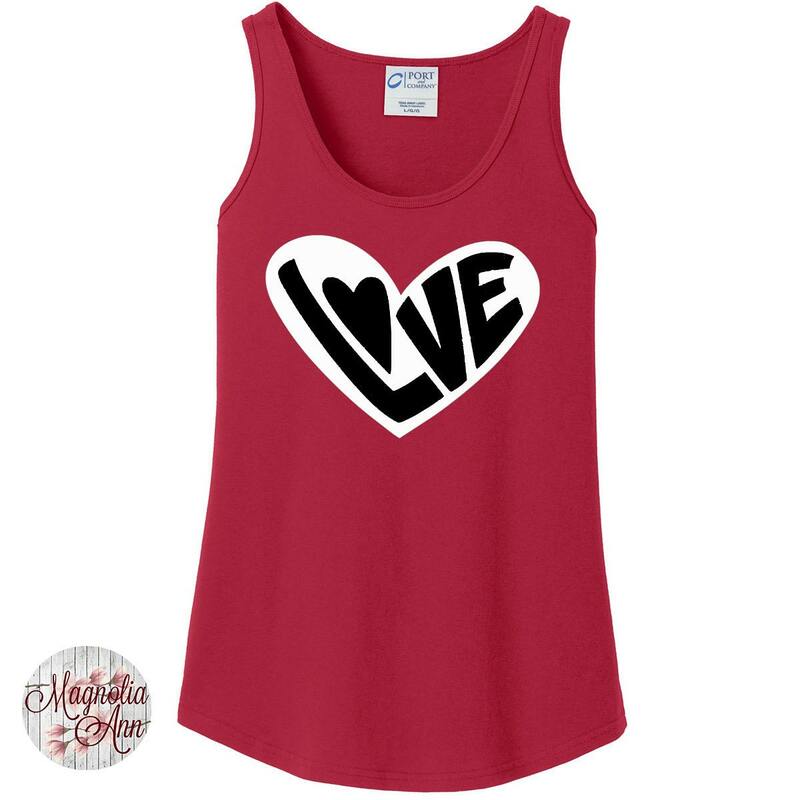 Tanks are side seamed with a contoured body for a feminine fit, scalloped hem. Comes in Sizes Small-4X. 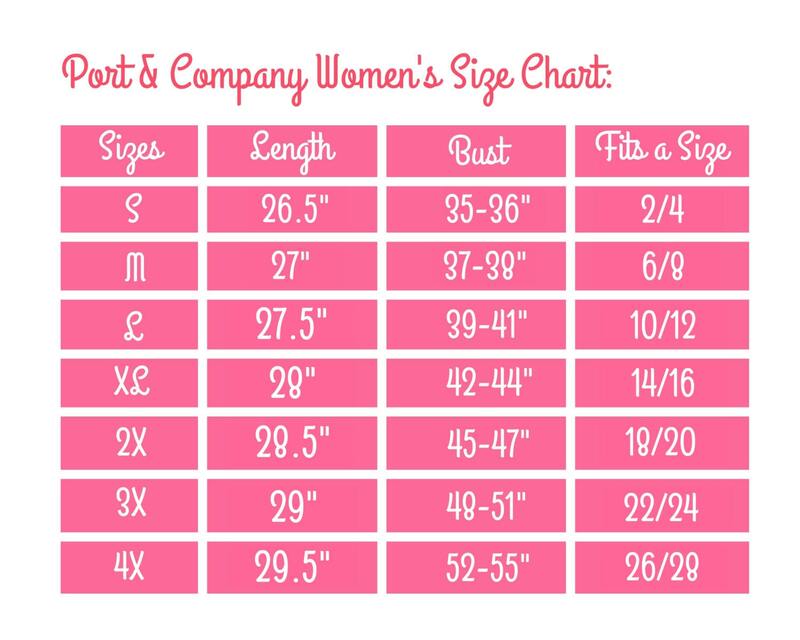 For a size chart see last photo. 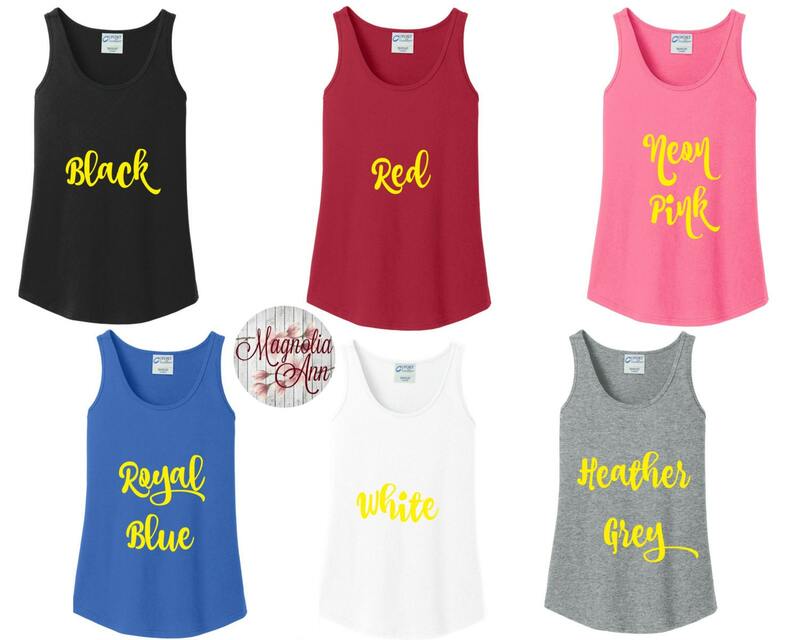 ****AT CHECKOUT PLEASE ADD A NOTE ON WHAT TWO COLORS YOU WANT FOR YOUR DESIGN; RED, PINK, WHITE OR BLACK**** If you would like another color, please contact us first before ordering. If you do not leave a note, we will attempt to contact you for 24 hours. After 24 hours with no response, we will pick a color for you.